 The AMB Photography Awards presented by Shimano are back! We had such a strong response last year, with about one thousand entries submitted. Your photos showed off the sport of mountain biking and each image had its own character. With support from Shimano Australia, we are running the competition again in 2018, but with four all-new categories. Shoot to inspire, shoot to capture passion, shoot to fuel the stoke. Playing with light to cast shadows, catch dust trails, or shooting in the 'golden hour' is a hugely popular technique, with lots of variations. Some photographers use a flash to illuminate the rider, others prefer to capture the absence of light deep in the forest. But the use of light is strong and changes how we focus on an image. For this category, we want you to submit a photo that shows how you are using light to create and enhance your mountain biking image. Static shots can capture our attention, but photos that show the speed and commitment really grab us and inspire us to get out and ride. Mountain biking is an active sport. Even when we're moving slow on a climb, or in tight, technical terrain there are small movements, adjustments to our position, that keeps us moving forward. A photo can capture movement through how the rider looks, or how we perceive the terrain beyond the rider. Pan shots are a classic example, but your submission might show the speed a rider is carrying, or even the progress they have made, shown by a dust trail or the wake of the front wheel in a river crossing. Details count, and seeing the finer points of a rider's technique, bike setup or focus draw us in. A good quality close up photo illustrates their emotion, determination or action on the bike or rider. Close up shots relay the focus and precision that some elements of our sport. For a submission to this category, you need to submit a close up photo that captures the emotions of a rider or the action of their bike. Show us what the human element is that we will engage with or the fine line that we ride on. Hero shots will often focus just on the rider and the feat they are mastering - but a great photo needs to have the right composition. From the rider's location on the trail, the angle of their body and bike, how they are working with their bike or against it, and how the photographer has captured the setting it all takes place in, yet still keeping the focus on the rider - these are all essential for a photo that shows quality composition. For this category, you need to plan your image and think about how you want to capture the rider, their environment, and keep us engaged and inspired. There can only be one overall winner who earns the title of AMB Photographer of the Year. To be in contention you need to submit an image for each category. This category will be judged by our panel of judges. The AMB Photographer of the Year will have their images featured in Issue #171 of AMB (the Photo Issue) and will win…. AMB’s long-standing editor. Mike is an avid photographic enthusiast, a passion that has grown from sourcing and selecting some of the spectacular imagery that features strongly in AMB. 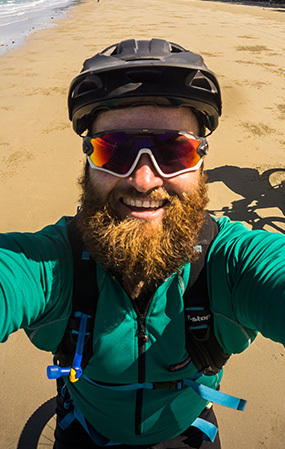 And having ridden his bike in stunning locations all over the world, he is well placed to discern which photos tell the perfect story of an exciting adventure enjoyed on two wheels. One of Australia’s most talented photographers. More often found in the field than behind a desk, Tim has traversed the globe shooting World Cups and EWS rounds for years. Australia is his home, though, and you will just as often see him on the trail sides of a national round or deep in the bushes on some obscure line. With years of photographic expertise, Tim was a clear pick for a judge in this competition. Robert has been photographing bikes for almost as long as he has been riding them. 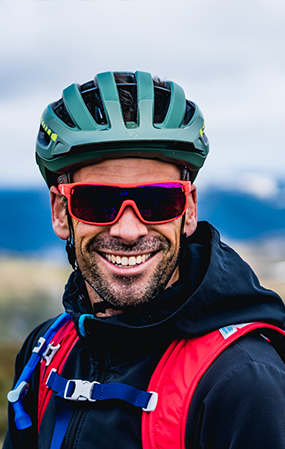 In the past he has shot for various media agencies in the mountain biking world. 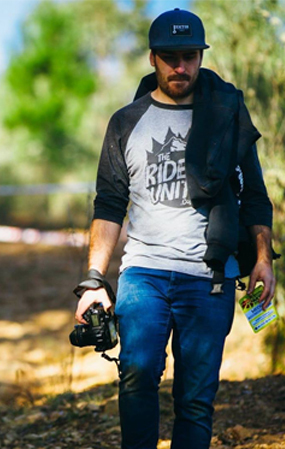 Now, apart from being designer on AMB, he often serves as in-house photographer on our many trips and for bike reviews. You may even have seen a shot of his pass by on the cover. With an eye for the obscure, Robert will bring a different edge to the selection process. Can I enter more than one photo in each category? Yes you can. You can enter each category as many times as you like. You can also submit multiple portfolios for the AMB Photographer of the Year, but we would recommend picking your best shot in each category to form a single portfolio. How do I enter Photographer of the Year? Visit the Entry page and upload a shot in each of the 4 categories, along with a location and caption for each image. At the bottom of the page there will then be a tick box available to also submit these four shots as a portfolio entry for the AMB Photographer of the Year. Make sure this box is selected before you click ‘Submit My Entry’. How does the judging of Photographer of the Year work? Our panel of nominated judges will review all entries and select the winner & finalists of the Photographer of the Year category. The winner will be deemed as the photographer who has shown the highest degree of technical and creative ability across the four different categories. How does the public voting for the four individual categories work? AMB Magazine staff will review all entries and select 12 finalists for each category. The 12 finalists for each category will then be displayed on our Awards site and the AMB audience will be able to vote on the best image in each category between 30th August and 19th September. The winning image will be the one that receives the most votes. How will I be notified if I am a finalist? You will be notified via email if you are a finalist for any category. You will be notified via email if you are the winner of any category. Do the photos have to be from this year? No, not technically, but age of images will be taken into consideration and judged accordingly. Preference will be given to images shot over the last 12 months. Can I submit photos which I put forward for the 2017 photo awards? If your image made a category shortlist or won a category last year, it will not be reconsidered for this year’s awards. You may re-submit images which were not shortlisted last year if you feel it is particularly relevant to one of the new categories for 2018, but preference will be given to new entries. In what format and size do I need to supply my photos? For best results, upload highest-quality JPEGs, with the longest side at a minimum of 1600 pixels. Maximum size is 2MB, minimum size is 1MB. Note that finalists and winners will be called upon to submit high-res & raw versions of shots if required. What level of post-production is acceptable? Basic image editing and colour corrections are allowed, i.e. brightness, contrast, sharpening, mood and temperature balance. Black and White is also acceptable. If I submit images to the wrong category will I be disqualified? No, you won’t be disqualified, but your image will be judged according to the entered category’s guidelines. © nextmedia Pty Ltd 2018.